#MeToo: SC Refuses Urgent Hearing Of Plea For Registration Of FIRs, Fast Track Trial Courts, Etc. The Supreme Court on Monday refused to urgently hear a petition filed by a lawyer seeking registration of FIRs based on allegations of sexual misconduct and assault levelled by women across various sectors during the #MeToo movement. 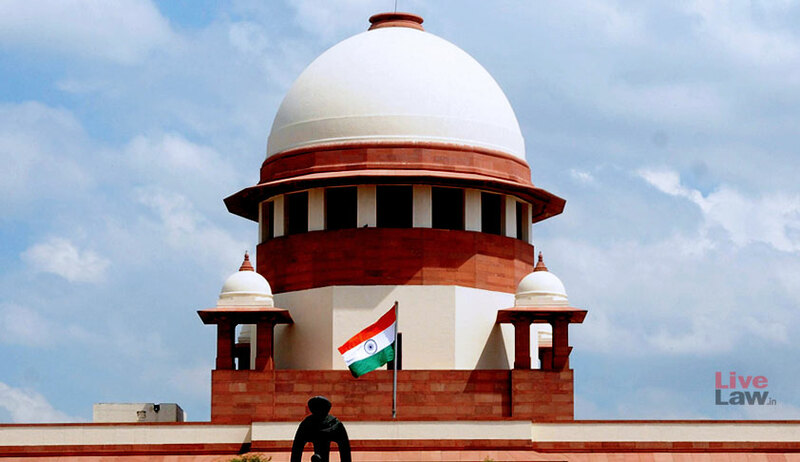 A Bench comprising Chief Justice Ranjan Gogoi and Justice SK Kaul said that the petition will come up for hearing in the regular course. He further seeks constitution of fast track trial courts for conducting the trial in such cases in a time bound manner, in addition to a direction to the National Commission For Women (NCW) to create a safe platform for women to file complaints while protecting their identity. Furthermore, it demands that the NCW be directed to treat the “Metoo platform” as a practical source of first information on instances of sexual harassment, to initiate criminal proceedings against the accused. The #MeToo movement has taken the country by storm, with the list of alleged perpetrators increasing by the minute. The movement in India began with actor Tanushree Dutta accusing veteran actor Nana Patekar of harassing her during the shooting of a film in 2008. Since then, scores of women have come forward with sexual harassment allegations against actors, musicians, journalists, stand up comedians and politicians. For instance, journalist Priya Ramani had recently taken to Twitter to recall a blog she had written in 2017 about her harassment by a senior journalist some 20 years ago, but had not named anybody in the article. As part of the #MeToo movement, she went on to tweet that the journalist she was referring to was editor-turned-politician MJ Akbar, and that he had made her uncomfortable after calling her for an interview in a hotel room. Following this, several women stepped forward levelling similar allegations against Akbar. Consequently, Akbar stepped down as the Minister of State for External Affairs last week, after filing a defamation complaint before a Delhi court against Ramani. Allegations have also been made against Consulting Editor of The Wire, Vinod Dua, by film maker Nishtha Jain. On October 14, in a Facebook post, Jain had named Dua, accusing him of demeaning her and cracking lewd jokes during a job interview, and stalking her. In response, The Wire has constituted an external committee headed by former Supreme Court judge, Justice Aftab Alam to probe the allegations. The committee also comprises of former Patna High Court judge Justice Anjana Prakash, retired Delhi University professor Neera Chandhoke, retired Institute of Economic Growth professor Patricia Uberoi, and former foreign secretary Ambassador Sujatha Singh. A one-person secretariat has also been established to assist the committee and to serve as the point of communication for both Ms. Jain and Mr. Dua.